As a result of a management change at the Beachcomber Hotel we will now be switching from Friday nights to Saturday nights. We will be starting at 8pm and will be continuing our karaoke competition from Saturday 22nd July 2017. There will be no karaoke on Saturday 15 July 2017 though. 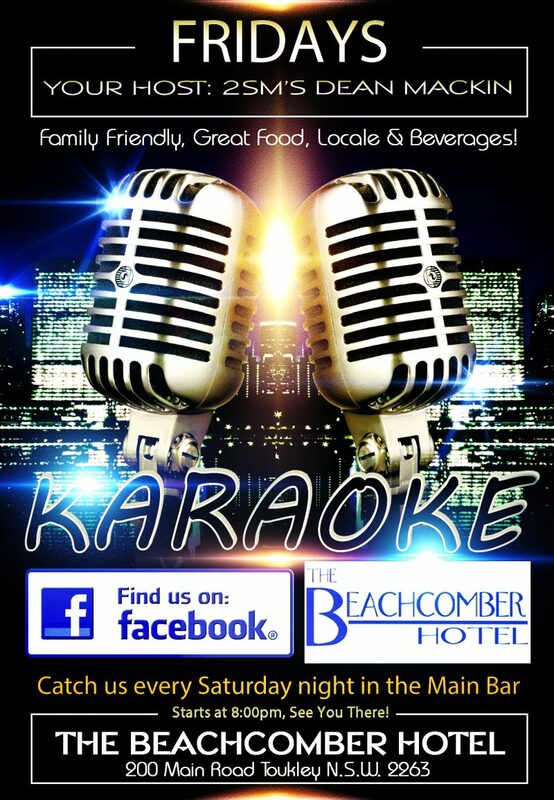 With your help we can make this the biggest and best karaoke on the coast each Saturday night and we would LOVE to see you there! !